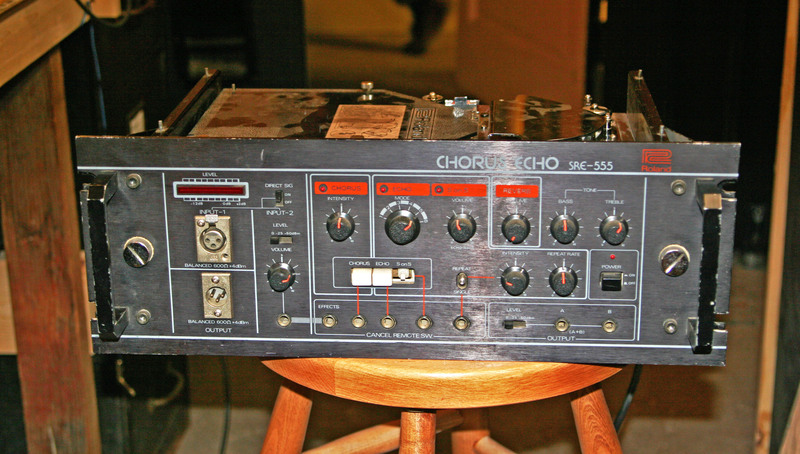 Rackmount Roland SRE-555 which is tape echo, reverb, and chorus in one unit. 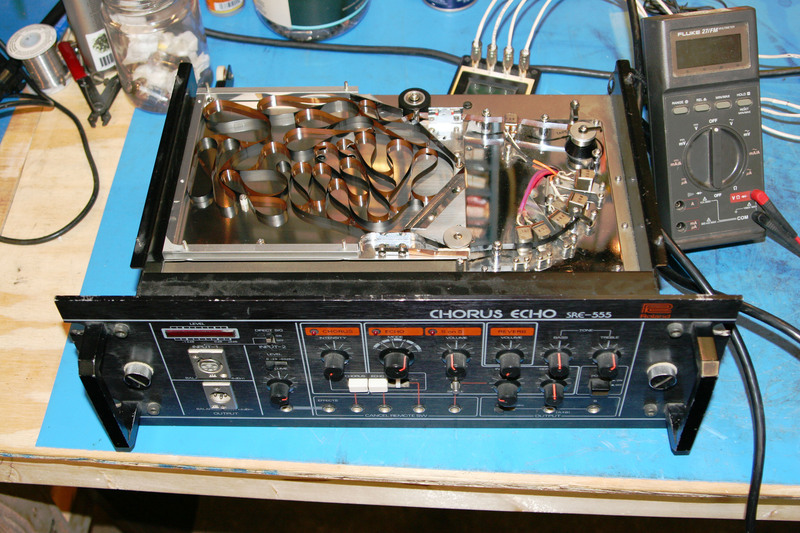 I never really get too much studio gear to work on and I’m not that familiar with it but this just needed the bearings lubed because the tape would not turn, or would turn but not at a steady speed. From what people say that’s usually almost always the case and it’s not a motor or power supply problem.